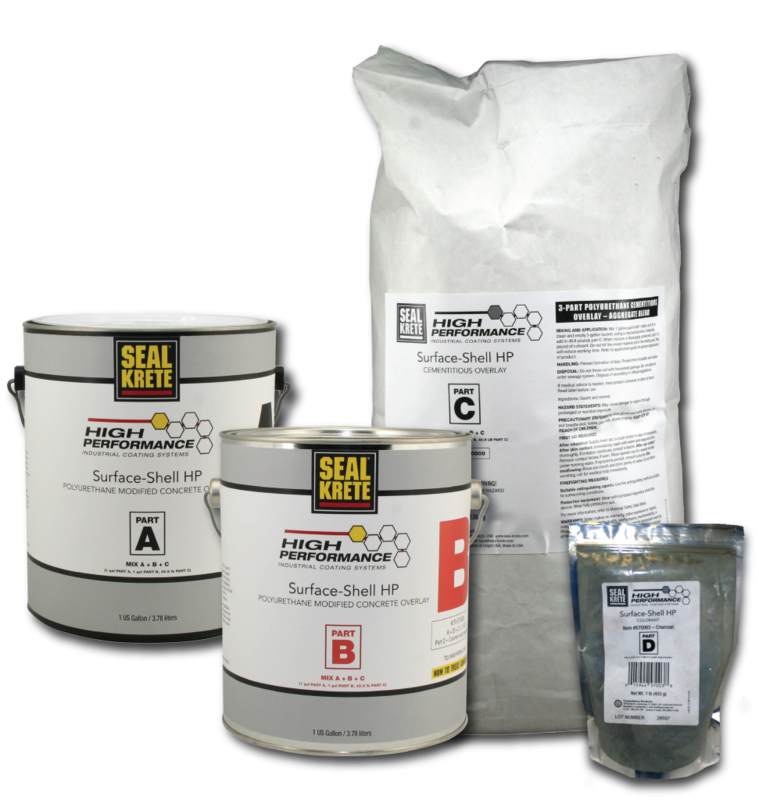 SEAL-KRETE Surface-Shell HP a polyurethane modified concrete overlay based on a 3-component polyurethane-concrete system with optional broadcast aggregate. Developed as a durable, long-lasting, heavy-duty floor coating for industrial floors. Installed at a finished thickness of 1/4–3/8" (6.35 mm–9.525 mm). The thickness is determined by the severity of expected traffic and by the service and cleaning temperatures. SEAL-KRETE Surface-Shell floors are extremely hard and have physical properties that exceed those of typical concrete.